This week we lead on the shocking state of care homes in the district as two thirds of those inspected since October last year were told to improve. 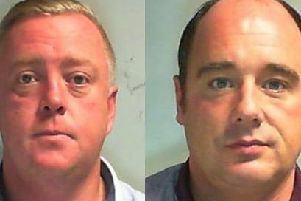 - Two men were jailed for using charity money raised by their local mosque to fund a trip to smuggle drugs worth £2m. - Poundworld starred in a new BBC series which lifts the lid on the battle of the discount stores. - A memorial service will be held to celebrate the life of prolific writer and historian Kate Taylor. - And trespassing on West Yorkshire railway lines has been recorded at the highest levels for 11 years prompting British Transport Police to act to save people’s lives. - Wakefield Trinity Wildcats boss Brian Smith has warned his squad that Bradford Bulls are much more than a one-man side. - Stanley Rodillians began their pre-season campaign with a 35-24 victory over Sheffield Oaks. - And Ossett Albion extended their unbeaten run to five games with a 2-1 win over Stocksbridge Park Steels.